It’s perfectly safe to try this at home. 1. 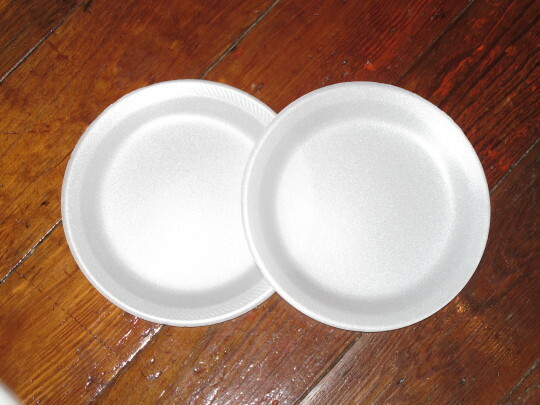 Take two paper plates—one representing you, the other your partner—and lay them on a table side by side. 2. Nudge them together until the two partially overlap. The part in that overlaps represents your relationship. The parts that don’t overlap represent your lives separate from each other. 3. Adjust the amount of overlap to represent how you see your relationship as it is today. Do you and your partner have a lot of overlap and small separate lives or little overlap and large separate lives? 4. Adjust the amount of overlap to represent how you’d like your relationship to be. 5. Finally, invite your partner to do steps 1-4, open a bottle of wine, share your results, and discuss for hours. SPOILER ALERT! Read the following after completing the above. There are some people who want a lot of overlap with their partners. They expect them to be around most of the time, to share the same interests, to believe the things they believe in, and to think the way they do. Others want more distance and thrive on a diversity of experience and beliefs. There’s no right amount of overlap couples should have. Some couples enjoy working together during the day—then going home and being with each other in the evenings. That’s a lot of temporal overlap. Add in mutually shared religious and political views and the overlap increases further. Other couples work in far-flung locations, pursuing much different careers—he parenting his kids, she parenting hers—and even occasionally take separate vacations with friends. That’s a case of little overlap. Little or a lot … both can work fine. Regardless of the degree of overlap, we and our partners have big separate lives—the things we do independently of each other; the careers we pursue; the separate friends we hang out with; the thoughts, feelings, fears, and desires we choose to keep to ourselves. Many people fear their partner’s separate lives—out of insecurity—or the belief that they have an ownership stake in their partner’s existence. Truth is, ownership went out with slavery, and the way to combat insecurity isn’t to try to control somebody else but to continue to develop and nurture you. Controlling sometimes works in the short run, but always fails in the long run, leading to resentment and often divorce. Young people sometimes marry people with glaring flaws, thinking they can change them. They can’t. People can learn, but few can change, unless they do their own work motivated strictly from the inside. You can stand on the outside hollering all you want: “Be happy!” “Get fixed!” “Change!” But it never works. You can’t change or fix anyone. Neither can you force someone to be happy. They’ll only change if they want to and can, aided perhaps by a professional but not by you. Trying to do that for them necessitates you meddling in their big separate lives instead of simply enjoying the overlap, reaping our partner’s gifts. In truly healthy relationships, partners cheerlead each other’s big separate lives without trying to become a part of them. “Go Girl!” “Go Guy!” (Remember, it was your partner’s big separate life you were attracted to in the beginning before there was any overlap at all.) They respect each other’s pasts, trust each other’s decisions, embrace each other’s ability to navigate life on his/her own, and honor each other’s freedom. They understand and acknowledge that their partners’ separate lives are none of their business and appreciate when their partners invite them into their world, choosing to share this detail and that. They accept the responsibility to do their own work to fortify their foundations and increase their emotional maturity. They know that by nurturing their own separate lives, reveling in the joy that that affords, they’re becoming better partners for the times lives intertwine.